Marco Felluga is one of the most prestigious wine producers in Friuli. In the 1930s Giovanni Felluga moved to the Collio in Friuli. His son, Marco, studied oenology and, in 1956, founded the winery, which still bears his name today. 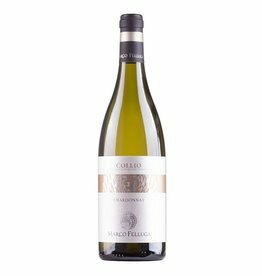 The Collio received the DOC status in 1964 as the third wine growing region of Italy, which is a good indication of the value of this wine region. The vineyards of Marco Felluga are located in the villages of Farra d'Isonzo, San Floriano del Collio, Oslavia and Cormòns. The white wines of the winery tastes very well young, but can also mature outstandingly. 5-7 years of bottle ageing are usually no problem.